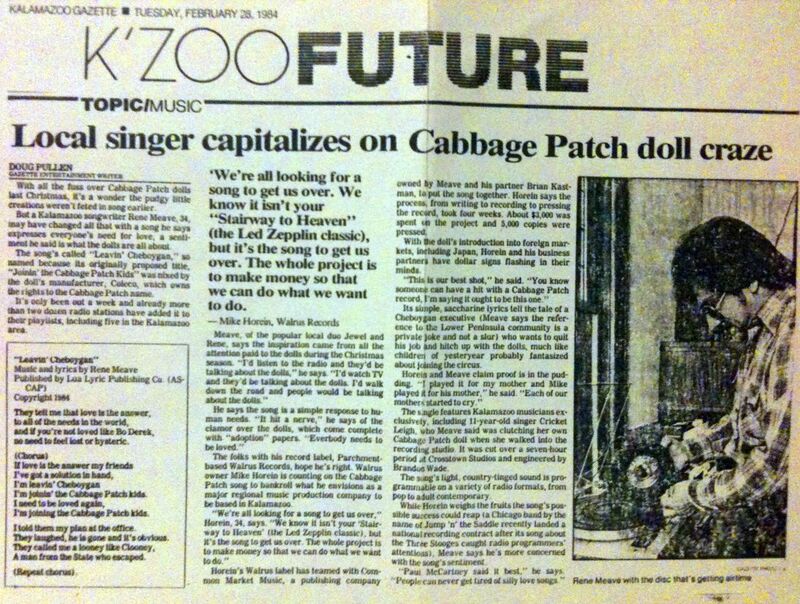 OK eighties kids– Who remembers Cabbage Patch Dolls? They were “kids” that grew in a magical garden, yet inexplicably had a belly button. Some dude name Xavier signed all their asses before they were “adopted” and they came complete with a birth certificate. The popularity of the Cabbage Patch dolls was a fad that caused riots when stores ran out too quickly or didn’t receive their shipments on time. This was a big business, and lots of people were making bank on these unflatterinly puffy faced monsters. Rene Meave saw this all going down and came up with a scheme to ride the wave of Cabbage Patch madness. 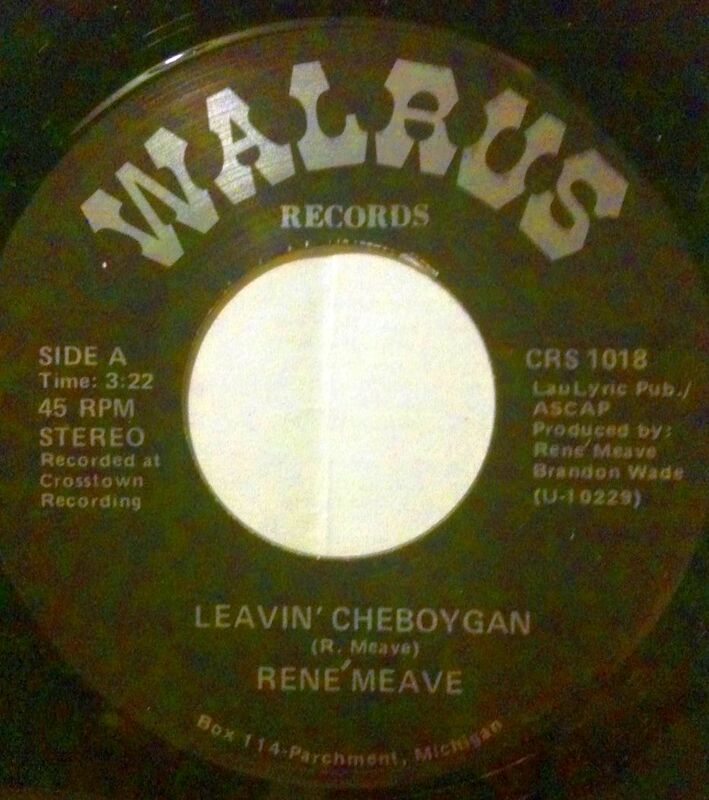 He recorded Leavin’ Cheboygan (And Joining the Cabbage Patch Kids) with dollar signs in his eyes. The song itself is hilariously bad. “If you’re not loved like Bo Derek / no need to feel lost or hysteric,” is one of the more notably terrible lines. And it seems as though they all knew the song was bad but went for it anyway. A 1984 article in the Kalamazoo Gazette quotes the owner of Walrus Records as saying, “We know it isn’t Stairway to Heaven, but its the song to get us over. The whole project is to make money so we can do what we want to do.” 5,000 copies of the song were pressed but it looks like they never made it out of Michigan, let alone to the top of the charts.